Lemon Harangue Pie: "Death Jar"
The exclusive Death Star cookie jar is built to hold an Imperial army of your favorite cookies, and can even double as a festive ice cooler or candy bowl at your next Star Wars soiree. 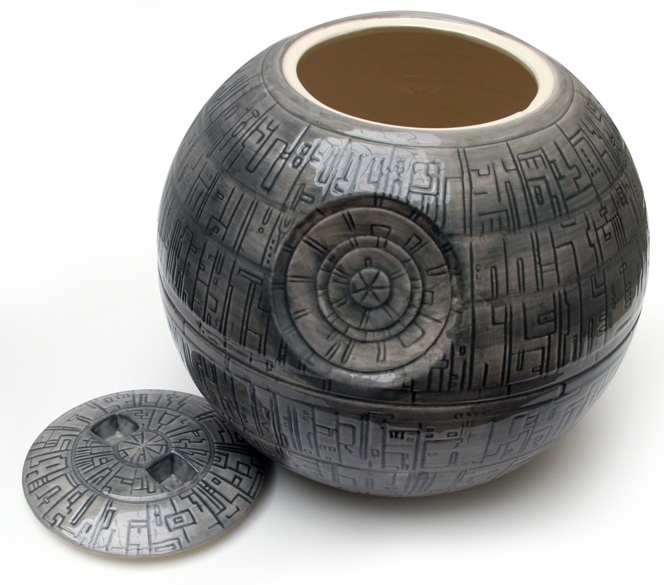 Made of sculpted ceramic with great detail and features a flat base to keep your Death Star from rolling off the counter. Oh, and no exposed thermal exhaust ports for hungry young rebels. A very cool exclusive available only at StarWarsShop!